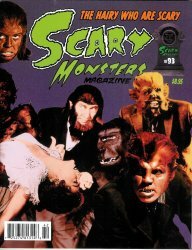 Scary Monsters magazine #93, June 2014, The Hairy Who Are Scary issue! Filmgoers Meet the Wolf Man! Monster Fest 10 Years of Fun and Fear!